I've been thinking about space trains recently too, but in a far, far more speculative form. The alcubierre metric, in the unlikely event that it turns out to be possible at all, would need the hardware that generates it to be on the outside of the field. The only way you could ever get FTL out of it would be to have a line of magic-tech negative energy manipulators set up long in advance, with timers to tell them when to expect a ship and when to start generating a field. It would be a warp railway. For the record, I don't believe it could happen because all the proposed mechanisms to prevent paradox in such a system are horrible kludges, but it's still fun to imagine. longbeast: Rather than an Alcubierre metric, you might look into Krasnikov tubes. These are like setting out rail-lines of curved space-time along your route to the stars. You get on one at one end, and get warped along to your destination on a reasonable time-frame. I don't see any reason that the Alcubierre warp bubble couldn't be created and aimed from within - but once you go FTL you will lose all causal connections with the outside universe. The only way to stop would be to set up the bubble to "turn off" after a set distance in advance, when it is made. If it works at all, that is (it is not clear that the singular surfaces needed for FTL warping are physical). While you might be able to turn off a warp bubble from the outside, this becomes more problematic if you include van Der Broek's correction that reduces the necessary magnitude of the energy needed from several galaxies worth to less than that of a planet - because the Van Der Broek warp bubble is less than the diameter of a proton, and is warping along a microscopic wormhole to a pinched-off pocket universe in which your spacecraft floats. I don't see relativistic time travel paradoxes as necessarily being a problem. Whenever you start to create a closed time-like curve, you could get the same amplification of quantum fluctuations that are thought to prevent wormholes from becoming time travel devices. If commercial space traffic is like trains, that’s great! Now, our intrepid heroes have something to do with their torch drive. They may not be fighting interplanetary wars, but they can rescue the merchantman with the failing life-support system, or they can intercept that passenger transport hijacked by terrorists. Luke: The problem is not in the metric itself but in the matter and exotic matter distributions needed to create it. The matter causing the gravitation that in turn causes the contraction of space ahead of the ship cannot be fully inside the field because it is part of it, so as soon as you start trying to push your mass distribution over c, you're asking some matter to exceed c in its local space outside the field. That's not necessarily a problem as you don't strictly need to push matter or information faster than c, just a field effect, but to get that field effect FTL you need have something like a mexican wave of negative energy density, controlled and generated from the outside. All this talk about external FTL to drive spacecraft on fixed railway-like space lanes reminds me very heavily on both the Urenbeck Catapult of the franchise Zone of the Enders and the Hyperspace Gate of Cowboy Bebop. Both are essentially FTL-like systems that allow Interplanetary travel and commerce without the need of an onboard FTL drive. And the analogue of the spacecraft to railway trains can be further emphasized with the complexity and care of the locomotive itself compared to the railway cars that it must tow. Both the locomotive and the spacecraft are dominated almost entirely by the engineering and machinery used to feed fuel to the engine and to make the vehicle go forward (not necessarily backwards for spacecraft without spinning it to have the thrust point in the opposite direction, same with the inability to couple two or more spacecraft to carry more freight unlike the railway locomotive). Creature comforts of the "engine room" are spartan at best and devoted almost entirely to the care, maintenance, and operation of the engine itself of either the spacecraft or the locomotive. Though one can only carry an analogy so far, since actual Space Trains are just as silly as Space Boats. Feel free to press the mute button while watching any one or all of the video clips. I think that the original train comment was made more with respect to schedule than path. That is to say, a cycler has a fixed schedule. It's far less like a train than a regular spacecraft. A train can only go one way, but it can do that at any time. The same isn't true of a cycler. Even then, a spacecraft has a lot more freedom to start with, but then locks itself in. It really depends on the reserve delta-V of a craft. That might be a difference between military and civilian ships. The warships will have extra to add uncertainty. While my enemy's laserstar might be coming to my planet, I can't be sure exactly where. On a related note, I can see most military expeditions being aimed at the outer edge of the Hill Sphere of a given body, giving maximum options after deployment. Once they are there, they then proceed to the objective. That would be 1.5 million kilometers from Earth, over four times the distance to Luna. If we have high delta-V drives, then it's practical to maneuver from there. Longbeast: certainly, if you had "exotic matter" (which is here understood to be any region of ANEC violating space-time, not necessarily anything resembling real matter), you could try to arrange for some sort of external "railway" that gets you a propagating warp bubble. However, looking at the warp metric, I see no a priori reason you couldn't just "push" the exotic matter up against the singular surface from the inside. In either case, you need a singular shell of exotic matter on the order of a Plank length thick. This might go into the "as long as I'm dreaming, I wish I had a pony" category. Since I'm making train analogies I should have linked to my one post on FTL so far. I had to google to find out what a Mexican wave is, and why it has that name. (Here it is simply a 'wave.') As always, serious FTL discussion is head exploding stuff. If cargo is being slung by mass driver, tether, or laser boost the analogy to railroad operation is even closer, with a distinct flavor of electric railroading. But for passenger traffic I have to disagree that the 'locomotive' gets all the love. So will the sleeping cars and diners, because life support is just as critical and probably trickier. I think the most likely way to lose a deep space ship will not be the drive failure but life support failure. Especially fire in the hab, simple but deadly. Interesting about the Hill radius. I can especially see this for sustaining operations such as a blockade. You're well out of range of most weapons we have discussed, but close enough for decent surveillance, and you can intercept any ship headed for deep space. Playing with my Travel Planner I did a quick check of crossing the Hill envelope, from Earth-Sun Lagrange point L1 to L2, or vice versa, with a Realistic [TM] fusion drive ship rated at 10 kW/kg. In flat space the shift takes about 9 days and burns off 5 percent of your mass. Passing Earth would complicate things. Accelerating into a fast pass of Earth gets you there in 4 days, maybe a bit less, and in a close pass of Earth your speed at perigee will be about 20 km/s. A blockader could have an interesting stern chase problem if the requirement is to match orbit with a blockade runner and board it. 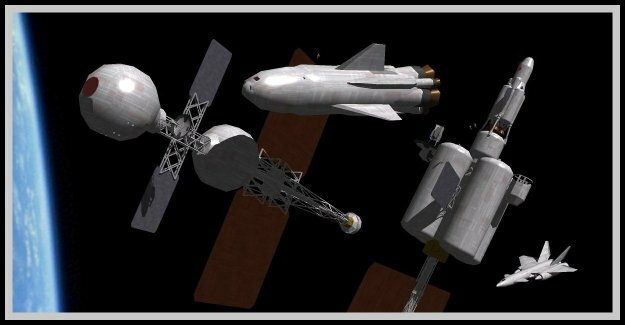 Train-like space travel has a long history (I first came across the concept in "The Mote in God's Eye" with the Alderson Drive, and then in Joe Haldeman's collapsars "Forever War", but it has exploded now). For story purposes, it has the advantage (?) of setting the stage for "Space Opera", since the Alderson points, miniature black holes, stargates etc. provide choke points for incoming and outgoing space vessels. Crusty old Admiral Spaceblower can task Captain "Lucky Jack" Aubry to have the HIJM (Her Imperial Jovian Majesty's) ship Surprise to orbit near the gateway and control traffic in and out, collect customs duties or apply a blockade, depending on the situation and plot needs. I've played around with some ideas to induce some randomness (otherwise it becomes a boring story of laser battlestars burning ships emerging from superluminal transit), but based on our current knowledge, this requires very rapid application of handwavium to change the local metrics of space-time. Planck length wormholes sparkling in and out of spacetime like a swarm of fireflies that can be grabbed and expanded by magitech might do, or the idea the "'Brane" Universe is "stitched" to the underlying "Bulk" and you can navigate through the "stitch-points" (although the stitch points might lead to another 'brane with different metrics; a very short story indeed....). Excellent series. I just read the latest one. Back on topic, my suggestion was more to point out that I doubt a radius that large is defensible by either side. I haven't done the math, but it seems inconveniently large to put enough ships in. I would expect that geostationary is about the outer radius of defense for most worlds. It's where everything economically vital is, and a reasonable size. GEOstationary is specific to Earth. It would vary wildly from planet to planet due to planet mass and rotation rate. Indeed, some planets don't really rotate, having been tidally locked. In those cases, a stationary orbit would be the L2 point opposite the central mass (a star or other planet/gas giant). I suspect the sphere of interest would go out as far as all the natural satellites. GEO or the closest equivalent. Geostationary for Mars, and probably the Hill Spheres for smaller bodies. I just meant that a planetary Hill Sphere is too large to defend, and you don't find much in deep space anyway. GEO is, for Earth, the outer limit of our large economic presence. In the future, we might have outposts on Luna, and the Lagrange points, but those will likely be isolated with their own defenses, and transit by convoy. Luna is much farther out, and will have an order of magnitude or more greater surface area, without defending much more. I think that it was Lloyd's that put out a schedule of train and steamship arrival and departure times, world-wide...for the whole year! This was the basis of the novel "Around the World in 80 Days". This same type of list could one day be published for space travel throughout the Solar System. As far as FTL goes...we don't know what will ultimatly work, if any of our current ideas will work or if something we haven't thought of yet turns out to be the way we eventually reach the stars; it could be that there are actually more than one method of FTL...or none (that would make me sad). We could discover a way to generate a field of energy that distortes spacetime in the way we need to create an Alcubierre type spacewarp, or learn to generate a temperary wormhole, or even how to inflate some of those "hidden" extra dimensions to bypass distance...All of those would need a full-sized nuclear powerplant, an office-building-sized array of exotic-particle generators, and some massive pieces of hardware to contain/generate/deploy negative energy, massively intense gravity waves, exotic matter, dark matter/energy; or some combination of them. If FTL is possible, then it will either be hiddiously difficult, or stunningly easy (once we stumble over it), but it is still decades away. Either way, starships will still be run like celestial railroads, FTL or STL. The running on rails argument makes for interesting economics. Supply and demand will be difficult to match properly since buyers and sellers will need to be forecasting out supply and demand for long periods of time. Farmers and agricultural brokers have a difficult time over the length of a growing season, and I'm sure people in the Clinton Administration (or the Carter Administration) had no concept of how market distortions from the passing and enforcing the Community Reinvestment Act (CRA) would lead to the mortgage bubble and the subprime mortgage collapse that is plaguing our economy today. Friedrich von Hayek's observation of the Local Knowledge problem applies in space in spades. I'm not sure how this will play out in the real economy of the future except to say that commodities will be in a constant "boom and bust" cycle, and sharp futures traders and arbitrage houses will be the only winners (sorry rockrats and 3He wildcatters). Perhaps the only winners will be Earth and Cis Lunar space, since many different suppliers will be vying for the largest market in the Solar System and the overlapping orbital periods of incoming streams of goods will average out the supply. Cargos sent the opposite direction will have the opposite problem, they will arrive infrequently (sort of like mail and newspapers at the end of colonial shipping lines; the ships arrive in Hong Kong or Plymouth on a daily or hourly basis, while the Cocos (Keeling) Islands are visited on an irregular basis. Well, software can be sent via radio through some sort of communications network. Modern programs are irresponsibly huge though, so that may not be something the public has access to. More like entertainment software companies buy hub time on various satellites and then upload their latest updates. As far as the hardware goes, molecular printing and fabrication shops would be needed for ship repairs anyway, so they will be local with template files beamed in. I believe there is already a first gen system that can lay down layers of certain metals (like five types) to build complex items. I'm sure that is an energy intensive process and time consuming, but if you absolutely need the newest hardware, it is faster than shipping. It also means that the wealthy get the newest updates while the rest of the plebians don't get their stuff until it arrives years or decades later. Ignore this comment: just 'bookmarking'. I'm rather attracted to the idea that everything is connected through quantum entanglement, which may or may not allow instantaneous communications and travel. This seems to bypass many of the issues created by the use of "railroads", either FTL wormholes or the more conventional STL such as minimum energy trajectories. If such a thing is possible, it will be as great a change to space travel as the shift from 2D surface travel to 3D air travel on Earth. Not only will you not be affected at all by the position of the planets and stars, but you will also have far fewer issues with mass and energy (Moving Mars is the ultimate expression of the idea; they take the entire planet with them). Taking the spacetime railroad may still be the way to go for bulk freight and commodities which are time insensitive, while entanglement would be the equivalent of airfreight being used to bring fresh cut flowers from Kenya or Columbia to markets in Europe and the United States. My approach to FTL requirements would be negative - avoid violating GR, if possible, but say as little about the physical principles involved. Put another way, my advice would be to avoid references to Alcubierre, etc., because even if that is on the right track - so to speak - it will surely be superceded, and the terminology will end up looking quaintly dated very quickly. Back to the point, I keep thinking that the classic 'mining' model is unlikely to be the major driver of space development ... but I'm extremely hazy about what might take its place. Okay, I see lots of comments explaining how FTL will work with truckloads of technoblabble and handwavium plumbing. -In space, I see stopping at 'railroad stations' much like a baseball game: pitcher hurls ball towards baseball glove, glove catches ball and decelerates it. Homeplanet opens wormhole/creates warp bubble/generates interstellar railway using energy a single ship can't carry onboard. Ship travels in FTLspace, then Destination closes wormhole/bursts warp bubble/other using as many gigawatts as needed. -This leads to the ship only needing Delta v to travel within the solar system. Better still, put restrictions on the FTL than allows them to be stationed on Langrage points. Ships need only to travel between planetary orbit and zone of gravity nullification. Tech level drops a magnitude and realism increases by as much! -This leads to a case where the more energetically developed a planet is, the more often it can allow its ships to travel in FTLspace. Less developed colonies (à la Serenity) would only do a jump a month, Terra would have several a week. -Another consequence: Interstellar economy would be on several scales, dependant on speed of exchanges. An outpost would lag around with its single trillion $$$ being cycled at 18th century speeds, Terra would have its multitrillion $$$ economy cycle at pre-digital age rates. Even for Terra then, market would crash in slow motion compared to today :-). -The boringness of year-long space warfare could be shortened to 'economic seasons', timed between waves of cargo ships. If you're fighting while the merchants come and you scare them away, you can say bye bye to the interstellar market for several cycles. I did FTL with two techniques, both relying on gravity fields and particularly Lagrangian points. 1. The 'Zeep Drive'. The humans used this system where the name comes from Z-P or Zeno's Paradox. Human ships would form a bubble around themselves which would then appear to collapse into a subatomic particle. The space within the bubble was pinched off and dropped in 'gravity space'. Here, your speed was based on the speed that you rotated your protective field. Gravity from real space would interfere with the spin thus capping the rate of spin based on the local gravity conditions. The effect meant that the farther you are from a gravity well, the faster you could go. Thus the large distance between stars could be crossed faster than the distance within a planetary system. Thus Zeno's Paradox. One drawback to this was that you couldn't see out of your bubble. To navigate, a proton field was ejected into the bubble which propagated out to the perimeter evenly. At the threshold, the protons would gather more in the direction of nearby gravity wells. By monitoring those pooling protons you could guess your position by dead reckoning. If you got too close to a gravity well, the interference would collapse the bubble and drop you back into realspace (with a nasty time space momentum wake). The 'safe' way to re-enter real space would be to 'mount the saddle' which would be the gravitic saddle point between two bodies which is close to the L1 point. Conservation of momentum converts your ship's momentum into spatial distortions that propagate out from the entry and exit points of 'gravity space'. The ship's mass also had an effect on how deep into the Sun's gravity well it could travel. Thus ships would be rated by planetary bodies at the orbits that they could Zeep to. The 5 mile long flagship laserstar was Neptune capable while the massive refinery ships for He3 were Uranus class. Jupiter class ships were used as tugs to launch the refinery ships on their 6 year journey to Mars orbit. Earth rated ships were a little smaller that the shuttle orbiter which meant that they couldn't support much in system travel. 2. Wormholes. The Aliens used wormhole technology which would form at gravitic nulls unless a transponder was in place to receive it. The aliens had wormhole projectors which were massive ships. The wormhole event horizons looked big on the entry side but were basically non-existent behind them. Waves of spatial distortions would pour off the edges to conserve momentum from the other side. This could be jarring enough to break the link before it forms but a good link would actually drag the projecting ship around in the spatial wake. The more mass that went through, the more wake there was from the wormhole, so a relativistic asteroid passing through the event horizon would do as much damage to the departure system as it would do to the target. As such, large ships would pass through very slowly with only fighters zipping through fast. There's certainly no inherent reason why a physics that allows FTL couldn't have two or more distinct mechanisms for achieving it. Turbo10K: Your railroad stops all have very different vectors. At any one time, the source and destination could be traveling is opposing directions or synced up or 90 degrees to each other. Where the energy comes into play is overcoming the momentum vector differential. So the less advanced locations would have to wait for the natural sync up while the more wealthy and powerful locations can overcome the problem by throwing more energy into the inertial compensators. Not only would they have more windows, but the windows would be longer. This deserved to be carved in stone. Now that is perfect! Thanks so much Citizen Joe! I could further implement it into the merchant season idea I'm trying to define. However, just how can we get the gigawatts where we need them (making a wormhole entrance) without using gargantuan laser beams? Ship massive batteries over there LOL? Or maybe we can make a smaller wormhole that carries energy OVER THERE, where it is released to make a bigger matter-transporting wormhole. Keep the can of worms' lid shut by saying that you can make a wormhole in orbit but much smaller than you can make in a Lagrange point...or something like that. Leave it up to you FTLheads to sort out. Rick-Go through all your posts and group all quotations you retained as worthy to be carved in stone. Send them as an e-mail to every sci-fi writer there is. Rocketpunk Manifesto would then happily shut down as its purpose is fulfilled. I was watching Star Trek (2009) last night and I was thinking-how would an interstellar civilization be different if it could warp into anywhere, or had to jump from designated spots? Maybe we could combine both, giving a "car-on-truck-on-train" trope. We an interstellar wormhole drive that goes between spots, the train, we have the warp drive that works best far away from gravitational influence, the truck, then we have the plain NERVA drive, the car...Once again, FTLheads, to the rescue! You lift off when the rotation of the planet points you at a planet. If you're not on course, the oxygen will run out quickly and you'll cruise depressingly off the screen. Sometimes there's a planet there you didn't see, and gravity will pull you in if you're close enough, but once you're gone, there's no way to change your path.